The Royal Kent School have an active PTA, who are responsible for some incredible events and fundraising activities each year. Information about upcoming meetings, and the minutes of all meetings are circulated termly by the school. The PTA would like to bring to your attention a fantastic way of contributing to the Royal Kent School and raising much needed funds by... wait for it…..shopping online! Easyfundraising (click here to access the site) is a fantastic tool which works by the participating retailer giving something back - so every time you shop online via the Easyfundraising website your chosen cause - The Royal Kent School - will get a percentage of the value of your purchase. This is a simple way of raising funds for the school and could potentially raise thousands each year. 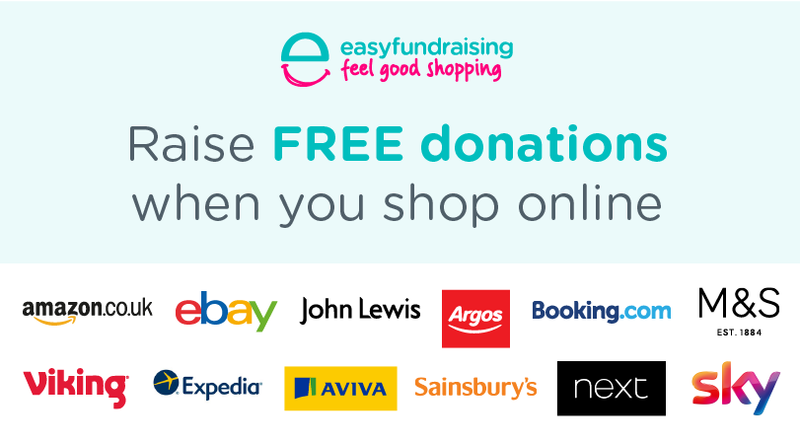 Lots of us already shop online and a huge number of major retailers participate in the Easyfundraising scheme, including Amazon, Ebay, John Lewis, Argos, Tesco Direct, M&S, Trainline and many more! If you're planning on doing any shopping online in the run-up to Christmas, why not use Easyfundraising to help raise funds for the school while you're at it! All you have to do is follow this step-by-step guide to set up your account. After you have spent a few minutes creating an account, all you need to do each time you shop online is enter the site via the Easyfundraising app. Your computer/ tablet/ phone will remember all the details and you will raise money for the school on any purchase. It really is that simple! Collect free donations for good causes when you shop online. Join today! Join over one million people collecting free donations at over 3,300 shops and sites every day the easyfundraising way! Over £15 million has already been raised for good causes. The next step is to get the Donation Reminder which will pop up every time you go to one of the participating retailers websites. Once set up you don’t need to worry about doing anything further as this tool will remind you. You are now set up and can begin to raise funds for The Royal Kent School! There is also an app you can download to smartphones and tablets which is accessed by typing Easyfundraising into the relevant App Store. We have so far earned £4000 for the school through Easyfundraising and have 104 supporters. It would be a fantastic achievement if we could double that, so please spread the word! Send this email to friends and family so that they can also help raise money for our school! Many thanks for taking the time to read this, and further thanks in advance for creating your account and raising funds for our fantastic school!